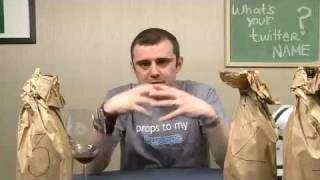 Gary Vaynerchuk makes an ENORMOUS announcement and tastes some red wines from Ohio. Gary V’s Thunder Cruise–On Sale Starting Monday August 4th at Noon EDT! Got a T-shirt you want to see Gary wear on WLTV? Thank you. 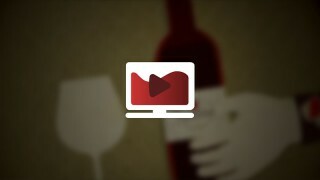 And the 2008 Petit Verdot is great too. QOTD: As I am not a football fan AT ALL, Eli Manning has to be my favorite Manning as he was at Disneyland the last time I was there. QOTD: Peyton, all the way. QOTD: I don’t want to think about any Manning brothers right now because I’m so scarred from that LAST game. Hey and you’re right about older brother’s, we do rock! Alright…. so old post but just had to say that, being from Ohio and after seeing the Ohio episodes, my girlfriend and I were definitely interested in Kinkead. We just visited the winery for the release of their 06 reds. We ended up talking to Ron, the owner, and after mentioning that we had made it a quest to find the 05 petite verdot he told us that there may be a few bottles in Columbus… so we drove the 2.5 hours and yes.. there were a few bottles there. .. we bought them.. drove home and just finished the first. We are pleased and, especially after meeting and talking to the owner, are happy to support Kinkead as our home winery and are glad that your show introduced it to us. Also… we didn’t want to be lurking anymore. Hope that everyone thats going on the Thunder Cruise has a blast. I hope you have one in 2010 cause Id love to make plans to go. Sad to see a poor effort overall but I wish those wineries the best in their future releases. QOTD: I wish them well, but I dont like any of the Mannings. I repect their skill, but enjoy watching them lose in the playoffs. Just saw this post, thank you! We're producing 76 cases of Petit Verdot from 2008 this year! Try again for ohio wine. You should have an open mind re the other 46. We are internationally recognized. We just got into Opus Vino, the internationally published wine reference book. Two of our wines made Tom Stevenson’s Top 100 Exciting Wine Finds in the World. 2008 Cab Franc won a Jefferson Cup, only 20 awarded to over 600 entries. Need more? See http://www.kinkeadridge.com and open your mind.